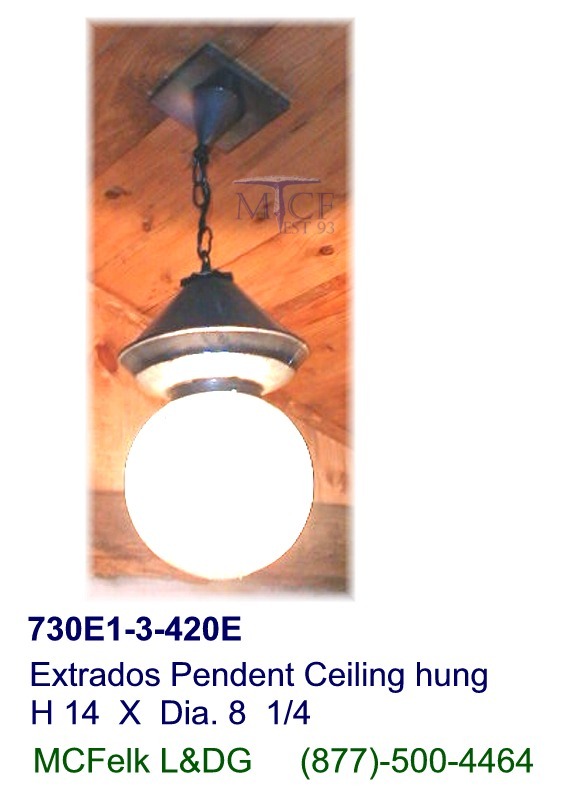 Ceiling hung, Electric, takes 1-60 watt max. 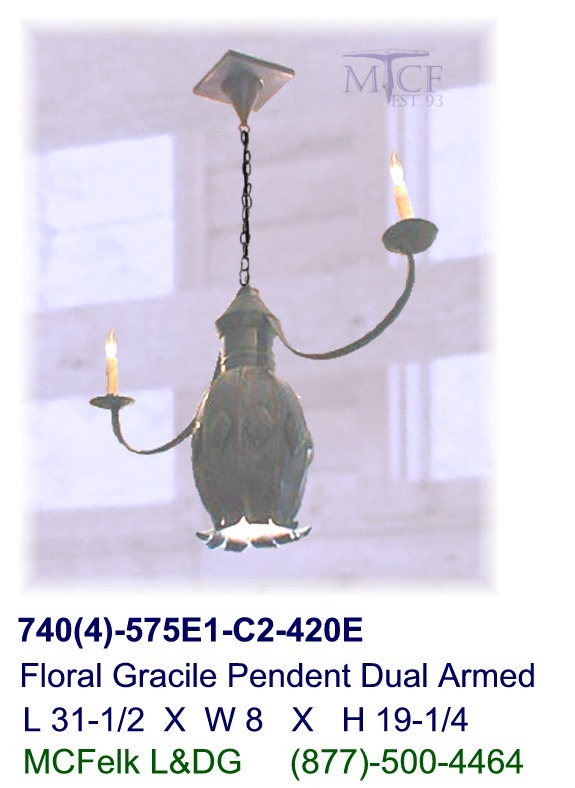 candelabra bulb. 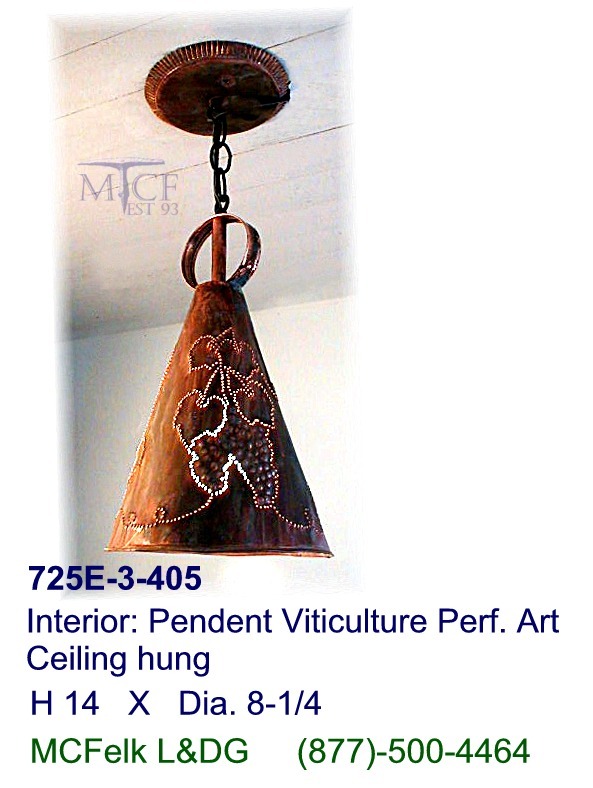 Interior: Pendent Viticulture Perf. Art Ceiling hung. Interior Damp, takes 1-100watt max. 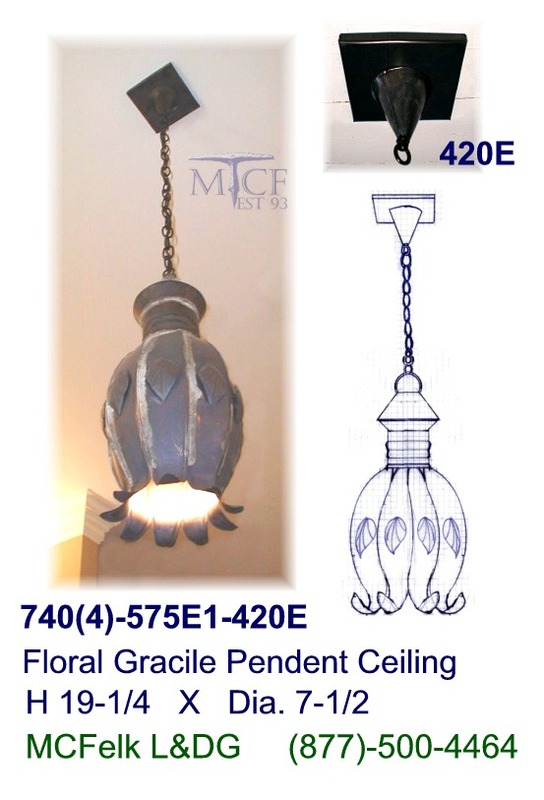 Standard bulb or equivalent 26W CFL. Takes- 2 at 60watt max. 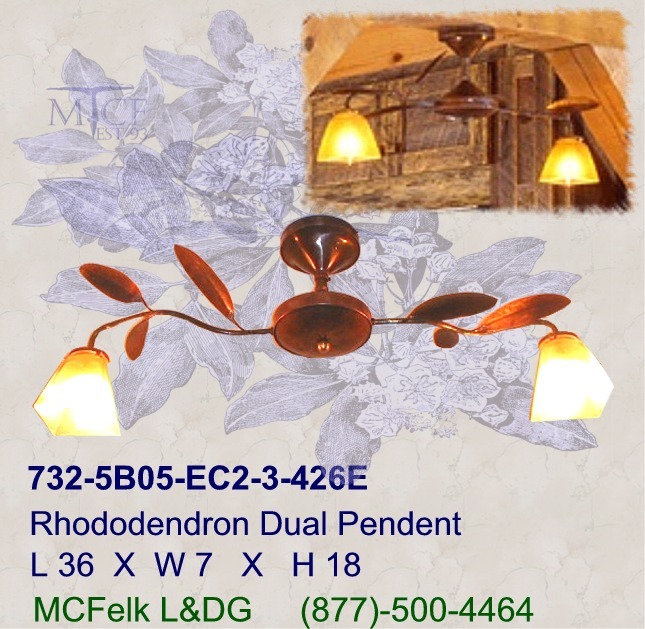 candelabra bulbs, optional full A19 or 13W CFL equivalent. 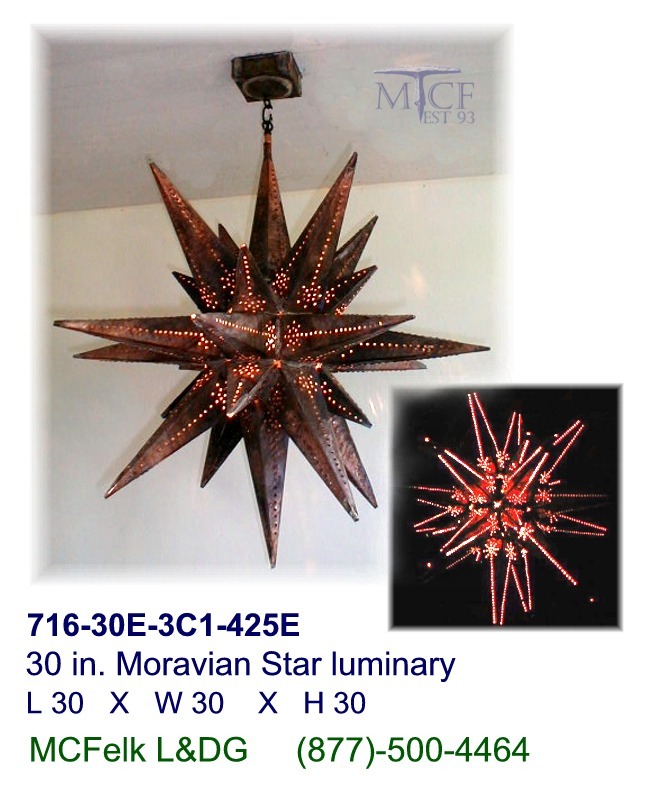 Includes: Handcrafted copper tubular 3/8 arms, textured having natural elements in lifelike stems and leafs, plus custom canopy included. Interior takes 1-100watt max. 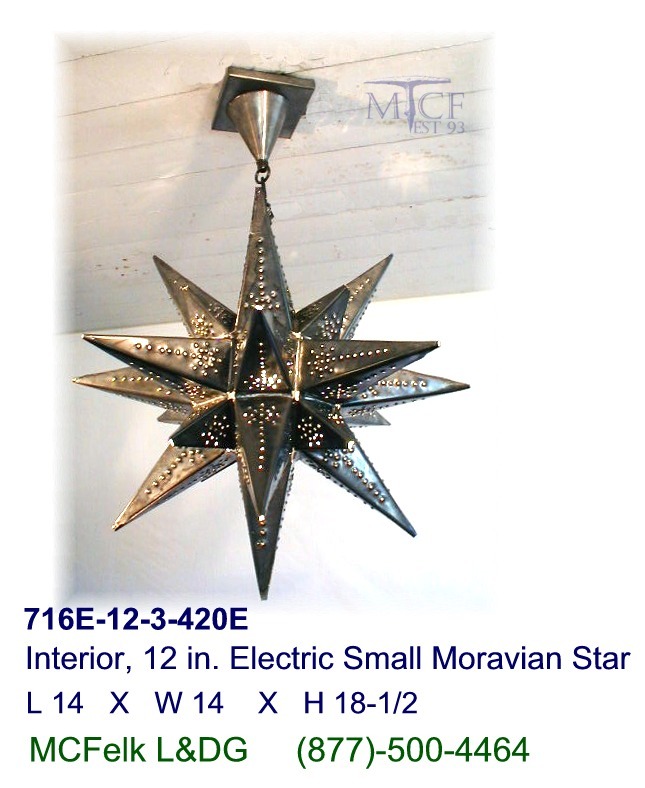 Standard bulb center. Takes: 2 each 100 Watt max. stnd. E26 base A19 bulbs. Energy savings is gained by 30% with use of a 18W cpf twist equivalent to 75 watt standard. 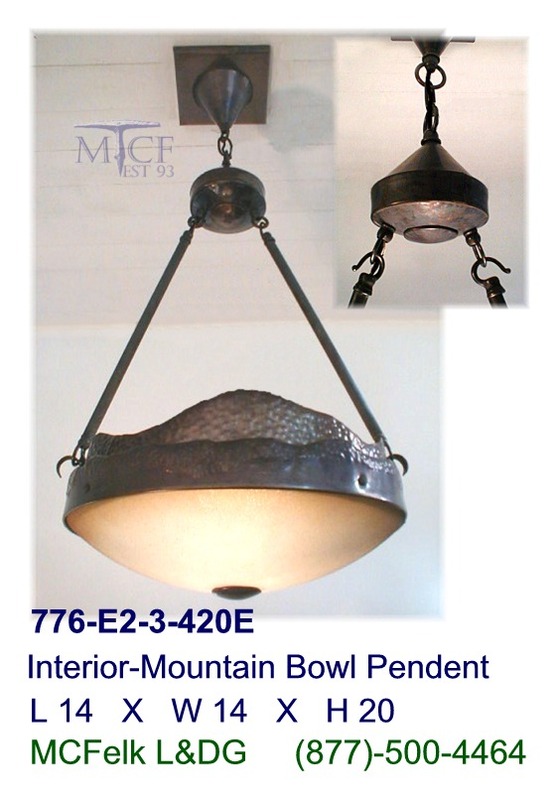 Includes: Custom fitter bowl selection, hammered art detail in 2 parts, 420E ceiling mounting kit.